To many travelers, Alaska remains a land of mystery, and that is a shame. Sure, many parts are rugged, barely accessible and nothing seems to be near anything else. Seeing Alaska by car or train will require a significant amount of time; however, the cruise lines have an answer for you. From majestic Mt. 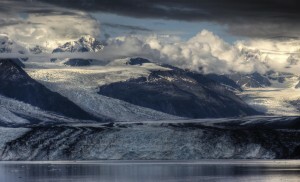 McKinley to the jagged edge of Glacier Bay, Alaska is unlike any place else in the world. One of the best (if not the best) to explore all Alaska’s offerings than with a cruise coupled with a cruise-tour. 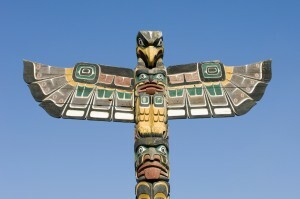 Ketchikan is an ancient city that is both fascinating and enjoyable. Even though there are some American restaurants and stores, (and it is part of the States, of course), it is certainly not your typical American town. If Anchorage is at one end of the Alaskan spectrum, you will definitely find Ketchikan at the other end. This small city contains more totem poles than anywhere in the world, and is set at the base of Deer Mountain. Sitka is a small yet lively town in Southeast Alaska that is full of surprises. Just when you think that you have seen all there is to see in this remote city, you stumble upon something that will instantly catch your attention. This is the case for the best restaurants and a few of the premier shopping outlets. They simply spring up out of nowhere, making for an interesting and exciting stay. There are a couple of great museums, and the scuba diving and sea kayaking in Sitka is marvelous. The calm, protected waters make these two sports very popular among both tourists and locals. Skagway is a Southeast Alaskan paradise, full of culture and brimming with life. Parts of the city seem stuck in 1897, never progressing beyond the height of the Alaskan gold rush era. This is speaking in architectural terms though, as some of the restaurants and shopping facilities offer distinctly 21st century fare. This unique blend of old and new really enhances the atmosphere of Skagway. There is so much to see and so much fascinating history to soak up. The saloons and bars, some of which date back to 1898, are splendid, full of artifacts and local heritage. A visit to Alaska would not be complete (at least it should not be considered complete) without a visit to witness the magnificence (probably not a better word to describe them) of a glacier. One of the best glacier viewing vantage points is College Fjord—which deserves a bit of an introduction. In the summer of 1899, railroad magnate Edward H. Harriman, president of the Union Pacific Railroad and the Washington Academy of Sciences undertook a two-month expedition, intended initially as a family vacation; but eventually wound up as a scientific research trip consisting of an illustrious group of scientists, naturalists, writers, and artists. It was the Harriman Expedition party who named College Fjord as well as the glaciers that line it. The dozen or so glaciers lining this fjord were named for the Ivy League schools that members of the party attended. On the northwest side of the fjord, the glaciers were named after the women’s colleges, such as Smith, Bryn Mawr, Vassar, Wellesley, Barnard, and Holyoke. On the southeast side, the glaciers are named after men’s colleges Harvard, Yale, Amherst, and Dartmouth. While the coastal towns are spectacular, it is recommended that travelers to Alaska take some time (preferably a few days) to explore the interior of the state. From the moment you step off the Alaska Railroad at the entrance to Denali National Park and Preserve, you’ll feel as if you’ve been transported back in time, where skyscrapers and traffic jams have been replaced by snowcapped mountain peaks and flocks of native birds. This park truly defines the Alaskan experience. Towering above it all is t Mt. 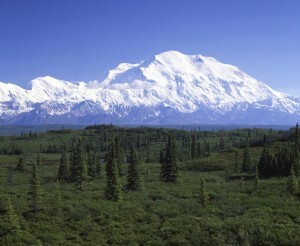 McKinley, the highest point in all of North America. At 20,320 feet, its summit welcomes more than 1,000 climbers each year who brave the elements for the chance to scale its majestic face. Located 240 miles north of Anchorage, Denali encompasses 6 million acres of forests, tundra, glaciers and mountains (to put that number in perspective, think the size of Massachusetts). Yet only 90 miles of main road traverse the park, leaving the moose, caribou, sheep and bears free to roam a wide area of land untouched by man.